A question that we get asked so much is where do you find all of these cool venues. We thought we could One of the things that Liven It Up Events is known for is working in some unique spaces for weddings and events. We thought we should show off some of the locations for you to give some ideas on what to do in the spaces. Take a look!!! Tucked away just off Michigan Avenue, The Ivy Room is a great space for either a sit down dinner or fun cocktail soiree! 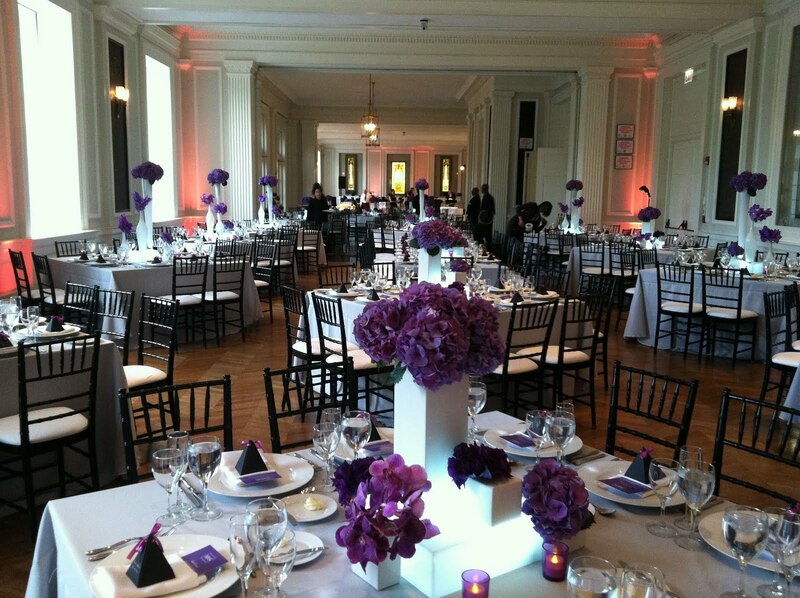 A traditional look, The Newberry Library is a great choice of venue for a great combination of modern and traditional looks. The opera style chairs and tables are included in the rental! This is an all white, totally modern space with the hanging lanterns that come with it! Super cool to do a sit down dinner or a cocktail style reception. We are here a ton and know both styles work! The coolest antique store in the city rents out the space for events. Dates are really difficult to book but when you get it, you get to use whatever furniture including tables and chairs that are in inventory! Awesome space and the garden outback is super urban! On the boulevard in Logan Square, Stan Mansion is a historic landmark. It has the grandiose effect when you walk into the main space. The cool thing about this space is there is a main room for the reception and a bar room on the same floor for cocktails or lounge! Looking for a loft for the wedding in the West Look? Loft on Lake is a super cool as it doubles as a photography studio and event space on the weekends. 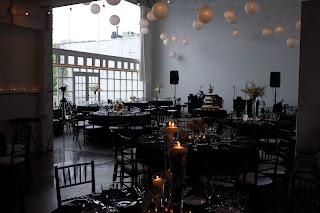 With some beautful chandeliers mixed into the urban loft setting, it is a super cool space to throw a party or to get married in! 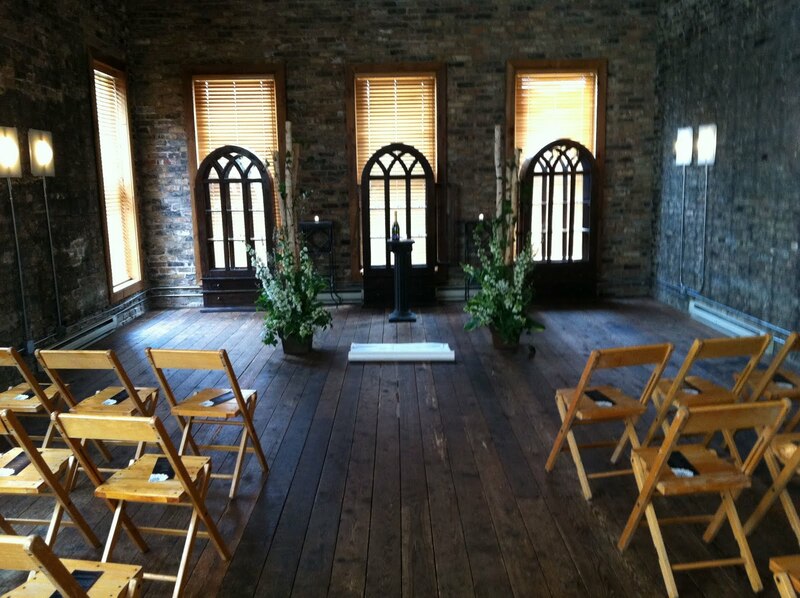 On the north side of the city, on the 4th floor, is the Erin Room at The Irish Heritage Center. 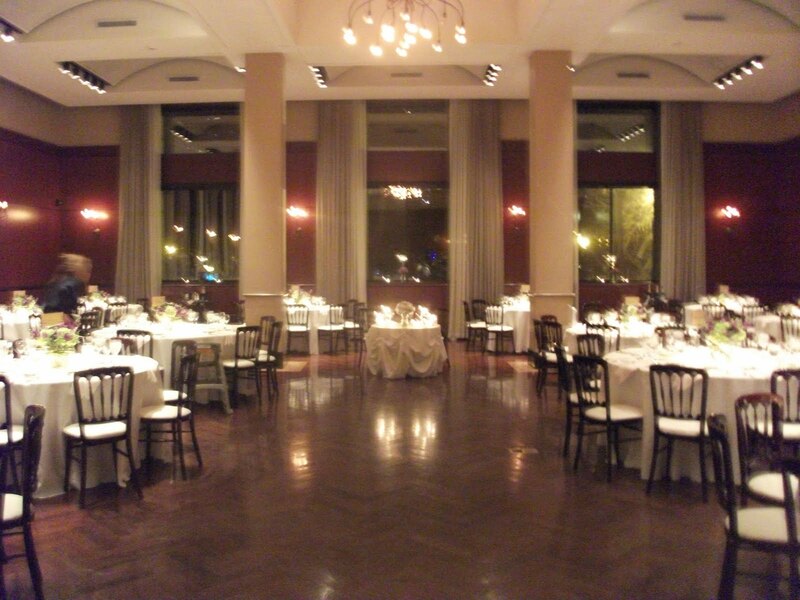 Completely renovated with hardwood floors, and crystal chandeliers, the Erin Room holds up to 400 guests. 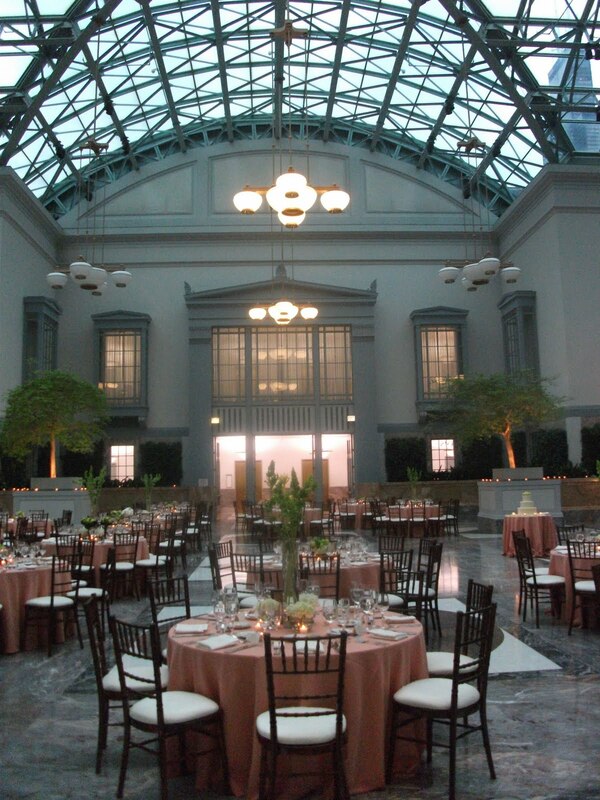 This is a gorgeous room to hold any event in. In one of the most historic parts of town, on the top floor of the Library is the Winter Garden Room. There is no doubt that your guests will now be wowed by the magnitude of the room, the detail on the ceiling and the trees in the room. Simply elegant for any affair! On the south side of the city, The Zhou B. Art Center is a funky space for a wedding or event. There are multiple rooms and floors and you can not forget the garden space down the street. Super cool for the urban chic event or wedding. There is no other place like this in the city. Nestled in the heart of Old Town, A New Leaf is 3 floors of wonders. 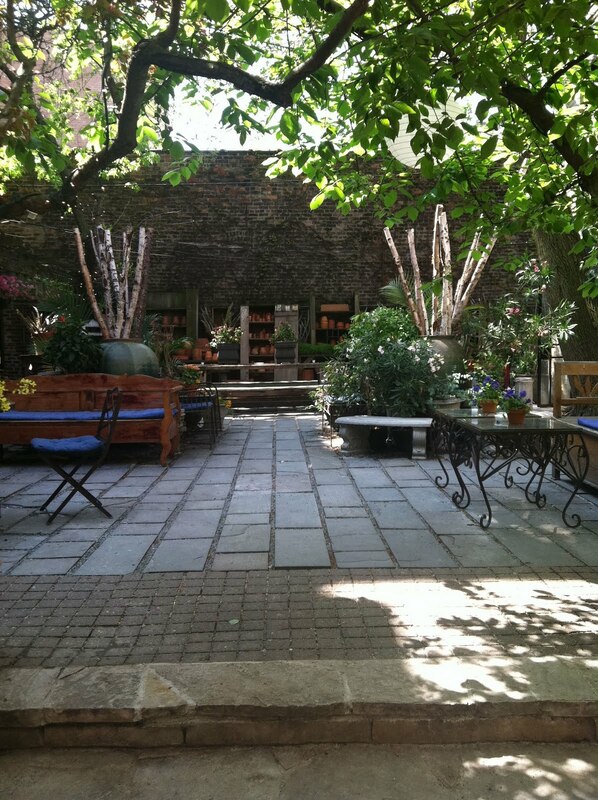 The garden out back is private and serine, and always, the guests at events are taken back by it’s natural beauty. You would never expect such a cool space in the Meat Market, would you? 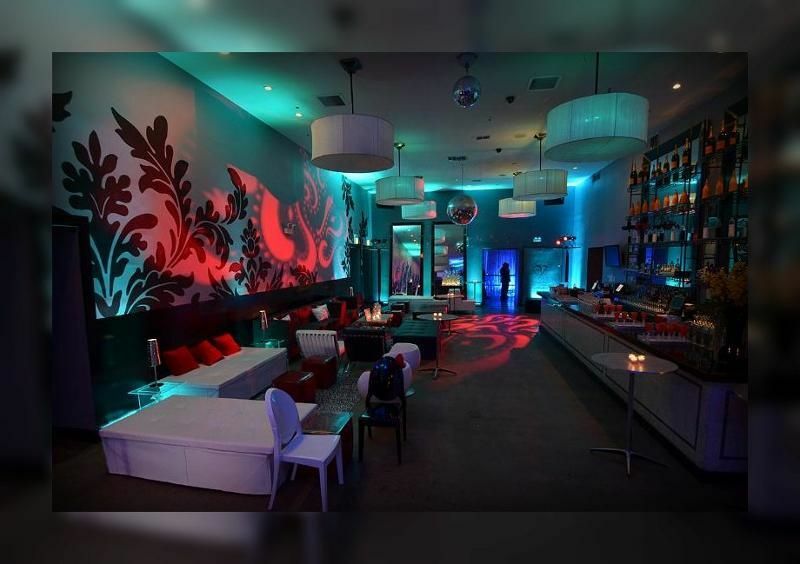 Newly renovated, Victor Hotel, also a club, is perfect for corporate or social events and even for the right couple a wedding. 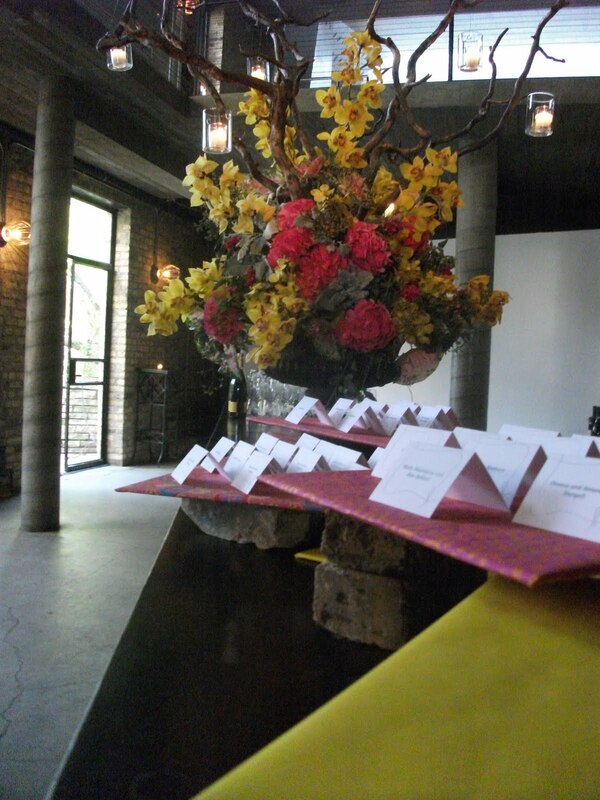 Take the funky look, mixed in the meat market setting and you have a truly urban event on your hands. As traditional as venues come, this is a gorgeous setting for a wedding. 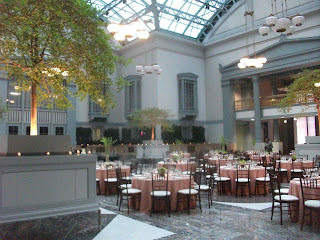 Probably best to do a sit down dinner, but the museum has indoor and outdoor space that are both divine! Thanks for reading the Liven It Up Events Blog! We have enjoyed hearing some feed back through Facebook & Twitter. For those of you who don’t know me, my name is Anthony Navarro… I’m the guy who started Liven It Up! Five years ago, I would have never imagined that I would have planned the events I have planned, and met so many wonderful people… or imagined that I would have a team of planners. My right and left arms, Julie & Sally. I have truly been blessed! Over the past couple of years, I have found the most helpful time I have spent with couples is when we talk about the unknown. Like how does the beef make it to my plate before dinner, or how the flowers make their way to the table, or how many hours it takes to edit a 45 minute wedding video. When I get that time with clients, it really seems to be the most beneficial for them and for me. I would like to use the blog at Liven It Up Events to not only showcase some of our work, but get down to real issues that come up with planning weddings. From how to budget for the wedding to how to handle unruly family members… I want to tackle it all! Over the next couple of weeks, the team at Liven It Up Events we will be working on putting together some ideas that have already been sent to us. If you have questions or thoughts on planning a wedding, send them to us at info@livenitup.com or post on our Facebook wall at https://www.facebook.com/livenitup! 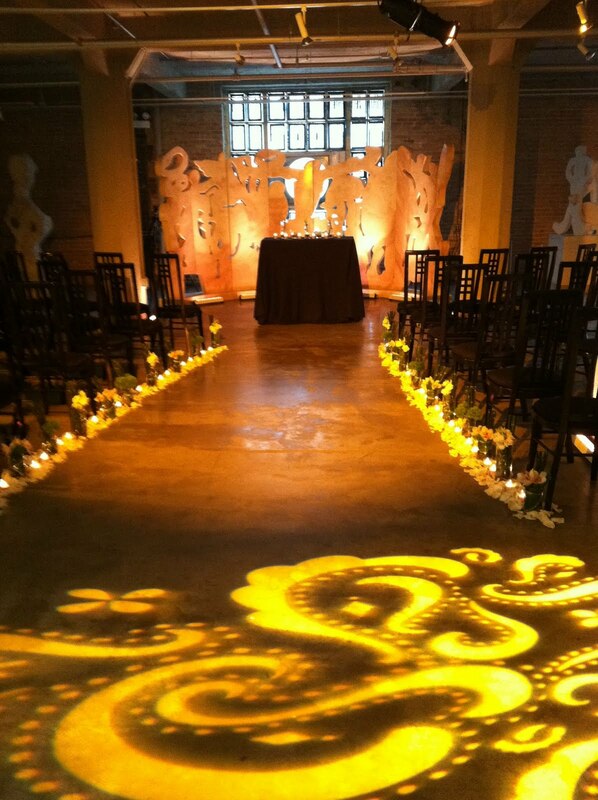 Stay tuned as we unveil the ups and downs and real truths about planning a wedding! 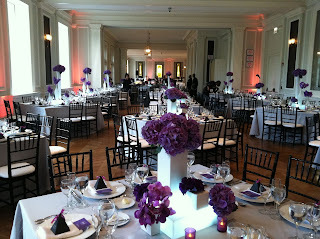 The Art of Picking a Caterer for a Wedding! For those of you who have recently become engaged, beyond being super overwhelmed by all of the vendors, themes, and locations, the venue normally is one of the first pieces of the puzzle that has to be solved. You have to have the venue in order to have a date. Sometimes in the excitement and the rush to get a date, you may over look some items that will directly effect your choice in a venue. Before you get too far in the process, you need to have a good idea of how many guests you are going to invite and although you will most likely not have all of those guests at the wedding, you need to be prepared too accommodate them. So, in order to not loose sleep at night, pick a venue that can accommodate all of your guests on your list. Some other things that you have to consider, how do you want dinner to go? Are you thinking a traditional, sit down, three course meal, with speeches, dancing in between courses, the ceremonial cutting of the cake, first dances, and a big band playing throughout the evening. 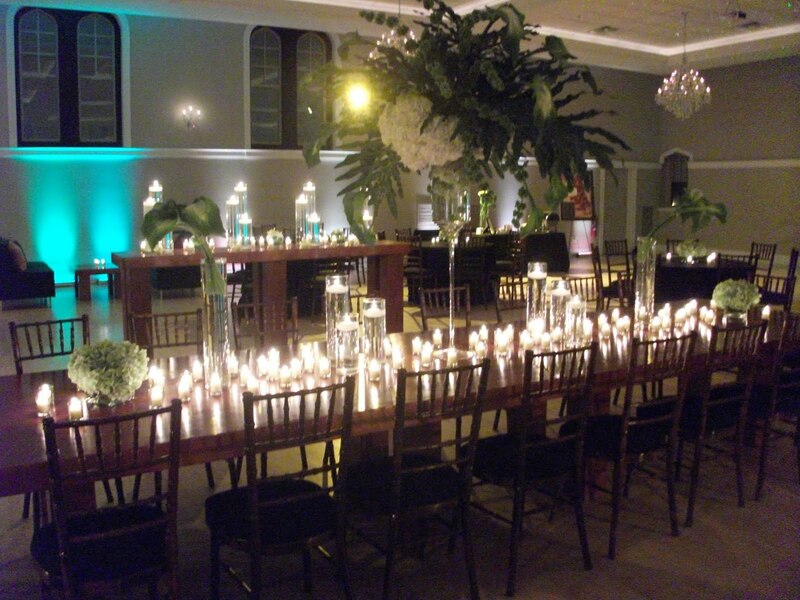 Having a setting that can be used for the sit down dinner or a cocktail feel where you can have food stations or a buffet, which we call a FFS (Fancy Food Station). You can for sure still lace some of those traditional items, toasts, dances, cutting of the cake, into the evening while a deejay or band keeps the party going. 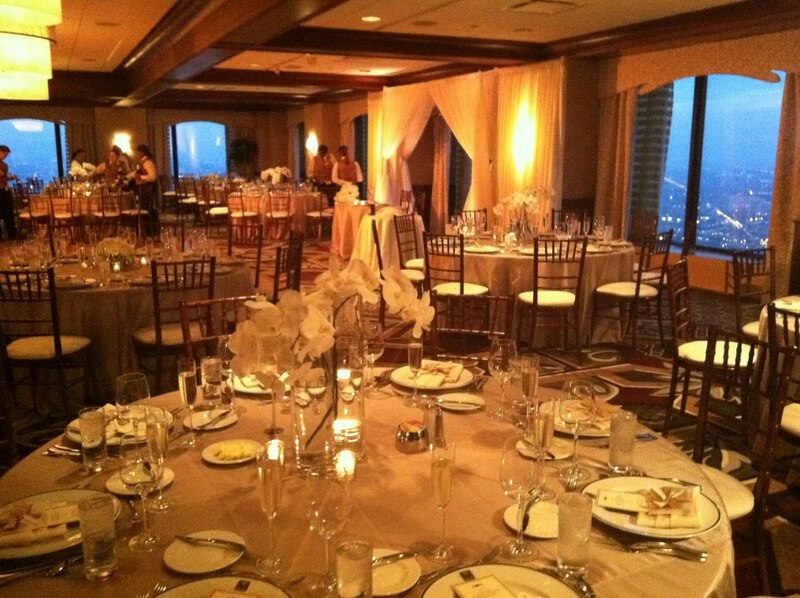 The main difference between the hotels & venues is the look and feel of the spaces. 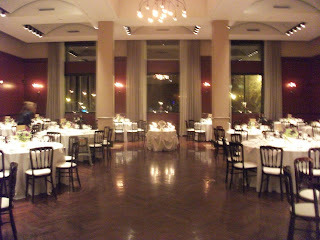 Most hotel ballrooms, when you are in them, you know that it is a ballroom. When you are at a venue, you know you are somewhere unique and different. 1. All inclusive, the food is already there with so many options to choose from. 2. It’s convenient for your guests if you have many people staying from out of town. 3. You don’t have to worry about things like valet, transportation (if the wedding and reception are at the hotel), and those little things that you are not thinking about right now! 4. Most hotels will make sure that they take extra care of the bride and groom as well as when you have the wedding at the hotel and room blocks, they tend to give you a one night stay for free! 1. You love the idea of building your entire wedding from the ground up. 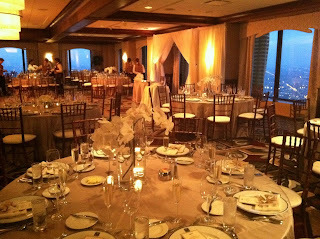 Picking the caterer, the liquor, table linen colors, chair & china style, and more! 2. There may be a bit more planning involved in terms of logistics to have a wedding at a venue, but if you love the romantic or unique backdrop, it will be work the extra work! 3. You may have to provide transportation for the guests to and from the venue but most venues allow you to BYOB and most liquor suppliers will let you return whatever liquor you do not use, open, chill or is not damaged so there are give and takes here. There is no right or wrong way to pick a venue. The most important thing is you love it. Have you ever bought a condo or rented an apartment. You look at so many places and when you walk in, you just know… the same will happen with your wedding venue, you will just know! I Got Engaged, What Do I Do Now? One of the most exciting time in ones life I when they get engaged. It’s such a joyous time and the first thing you may fin yourself doing is going to The Knot or Wedding Wire or Yelp! To start the search. Immediately most folks find themselves completely overwhelmed. In most areas there are so many choices there is no clear path on where to start! Before you losses help there are a couple not so fun things that you should do. One of the things that gets over looked in planning a wedding is working on a budget. Budgeting is a key component. Most weddings today cost more than a down payment on a home, some may payoff student loans, so before getting to far a hard of your self you need to talk the money talk. Determine first who will be paying for the wedding. Will you and your fiancé be paying for the wedding, will one of your parents pay for the wedding or a combination of both? If you are paying for the wedding determine how much you will feel comfortable dishing out! If mom and dad are paying, how much are they dishing out? Can you add some money to what they are giving you? Take it from me, I don’t think you need to go into debt to have a wedding so being cautious in the beginning should help keep things in check through out the process. 2. Finding out your style. Start looking at some of these resources and begin to see what you like and what you do not like. That will help decide the backdrop for the venue. Prairie Productions, Cocktail Fun or a Sit Down Dinner… It All Works! There is a familiar place to the wedding & event folks in the heart of the West Loop, down the street from Harpo Studios, called Prairie Productions. 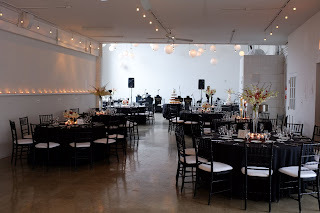 During the week you will find all sorts of photo shoots happening and on the evenings and weekends, the space is rented for weddings and events. The space is essentially all white, with grey floors, and in the main room, huge windows that let all sorts of light in! 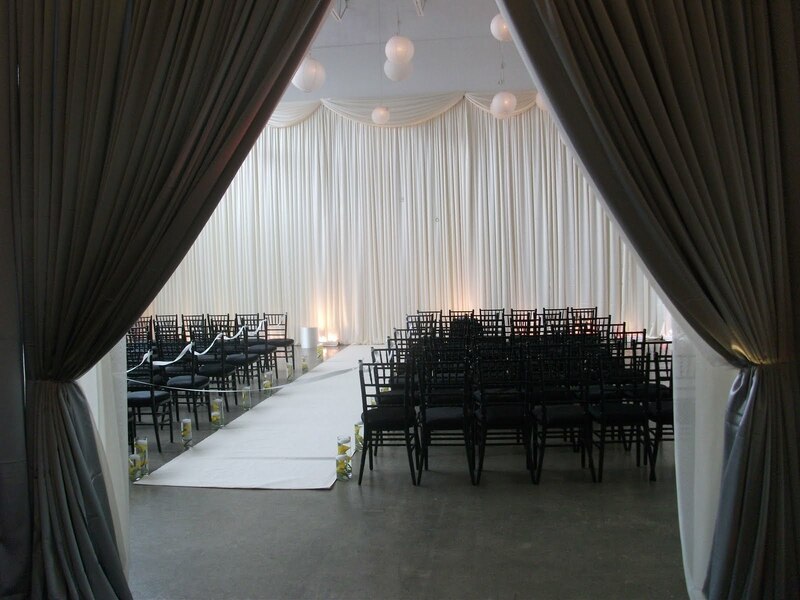 This space is definitely for someone who wants a contemporary backdrop for their wedding. The team at Liven It Up Events has already had a few events there this year! 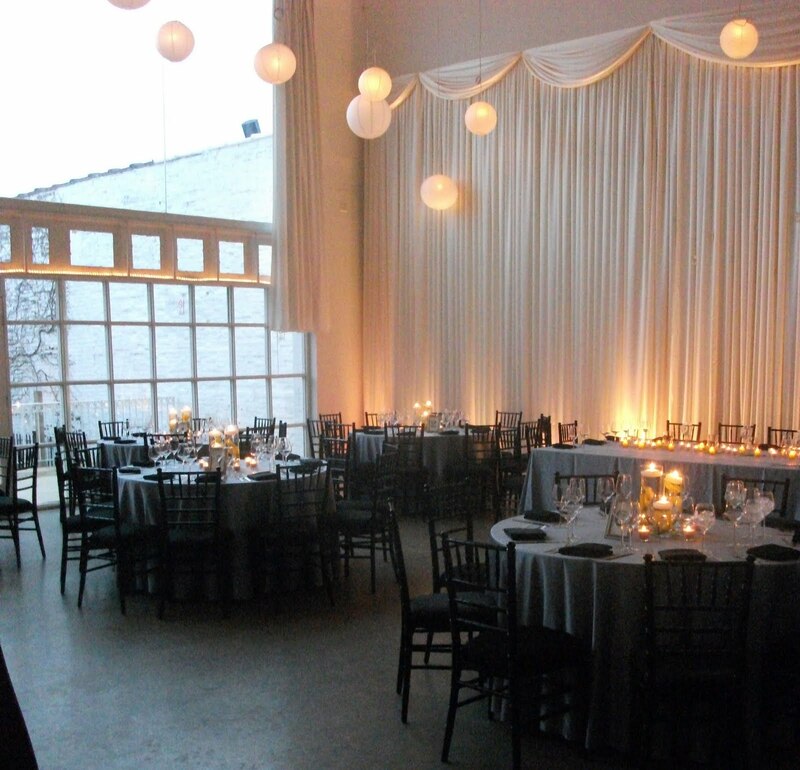 Thought we would show you some of the work that we have done there if you are looking for a modern, fun, or playful space for a wedding or event. Early in the year, we worked with a great couple who chose Prairie so they could do fun food stations, seating for almost all of the guests, and make their guests feel like it was more of a party than a wedding. Bonsoiree dished out an amazing spread, Jeremy Lawson photographed the day, and Spencer with Style Matters kept everyone moving throughout the night. This was also the first time we used the new Farm Tables from Tablescapes. They looked beautiful at Prairie! 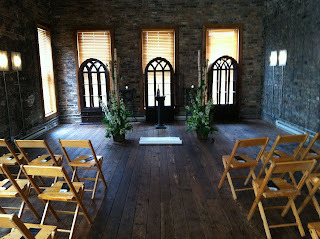 Back in April, we were b ack for another wedding where we had both the ceremony and the reception at Prairie. Rev. Marian Hale performed a beautiful service in front of a stunning wall of fabric and hanging crystals by Art of Imagination. Later that evening, D’Absolute Catering served up a buffet style dinner of some delicious Americana Foods, Style Matters playing some fun music all the while Brian Resac was photographing the day! 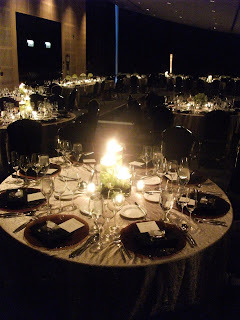 And then, in May, we were a part of a more traditional style wedding, where the couple was married in a church and we designed Prairie to be more of a traditional venue, were there was a sit-down dinner. Gerard & Marshelle with Occasions Catering dished up a delightful two course meal, while Logi Productions & Dawn Roscoe captured the day. Our buddy, Juliet with Cattelya Designs did a beautiful job with the floral arrangements, and The Dave Rothstein Orchestra kept the guests on the dance floor all evening! 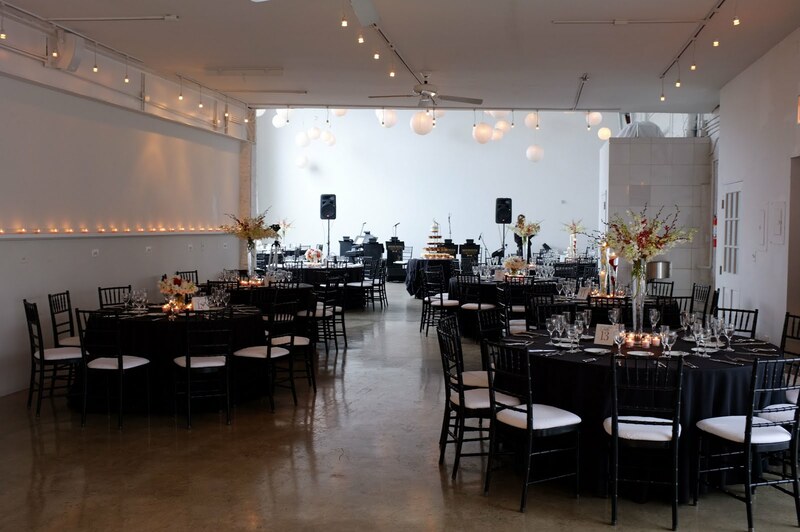 Whether you want to use Prairie for more of a cocktail style reception or a full sit down dinner, it is a wonderful space for any event! One of our favorite venues in Chicago for any event is a place called A New Leaf. 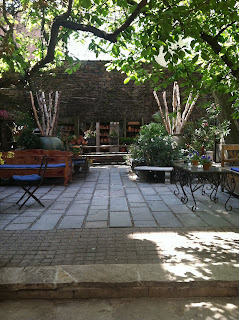 It is a magical oasis in the middle of Lincoln Park, right on the edge of Old Town. 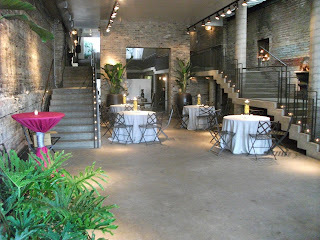 It is really a flower shop that has this stunning event space next to it. With three levels of space and a garden in the back, it is a wonderful place to get married! This year so far we have had a couple of weddings with quite a few to come! 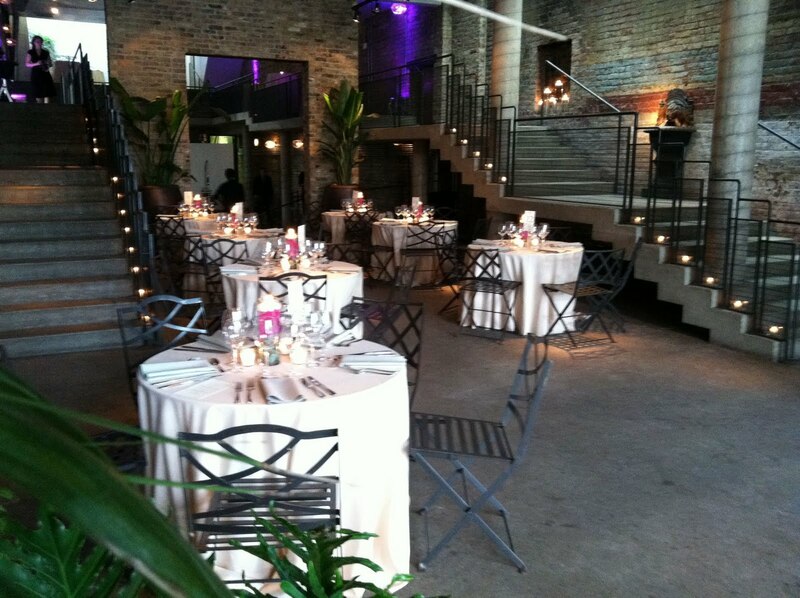 Back in April, we had the opportunity to work with Rachel at J&L Catering who did a beautiful job writing a serving a menu for 60 guests that we served upstairs on the mezzanine. Before dinner, Rev. 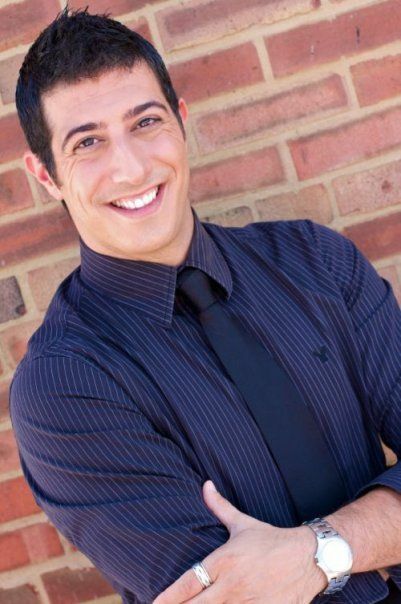 Michael Stejskal performed an intimate wedding ceremony in The Apartment. Simply divine! Laurie at Corner Stone Photography captured the evening for memories and Carrie with Toast & Jam Deejays kept the evening moving with some fun tunes! And to thank Laurie, the florist and manager at A New Leaf for creating such STUNNING works of art! Gorgeous!! We found ourselves back at A New Leaf in May working with a fun couple who again, wanted to create an elegant but fun affair for their guests! This time we were working with Raschelle at A New Leaf who did AMAZING flowers for the space, while Aurieanne with the Hearty Boys wrote a fun menu, perfect for a Day Time Wedding in the Spring! Matt Haas with Matt Haas Photography was able to capture all of the special moments from the ceremony in the Apartment officiated by Rev. Ron Crowley-Koch. Deejay, John Simmons kept the guests ears filled with musical notes throughout the day! 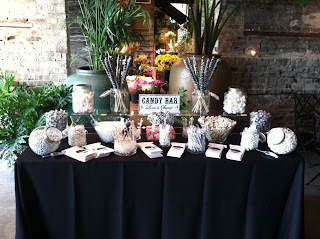 With some playful food stations, a candy bar made up of some really fun old fashioned candies, and perfect, sunny spring weather, the guests enjoyed a full filled after noon at A New Leaf for a memorable day for our couple. We will be back at A New Leaf throughout the year and looking forward to creating some more memorable & magical experiences for our clients! Until then! Throwing a Party that Happens to be a Wedding! When we hear that a couple wants to have a fun, unique wedding experience, we always are delighted for that! Weddings do not always have to lean on the traditional side, they can be crafted to how the couple would like it to be. For this couple, they were they wanted to have a fun, unique wedding experience for themselves and for their guests! 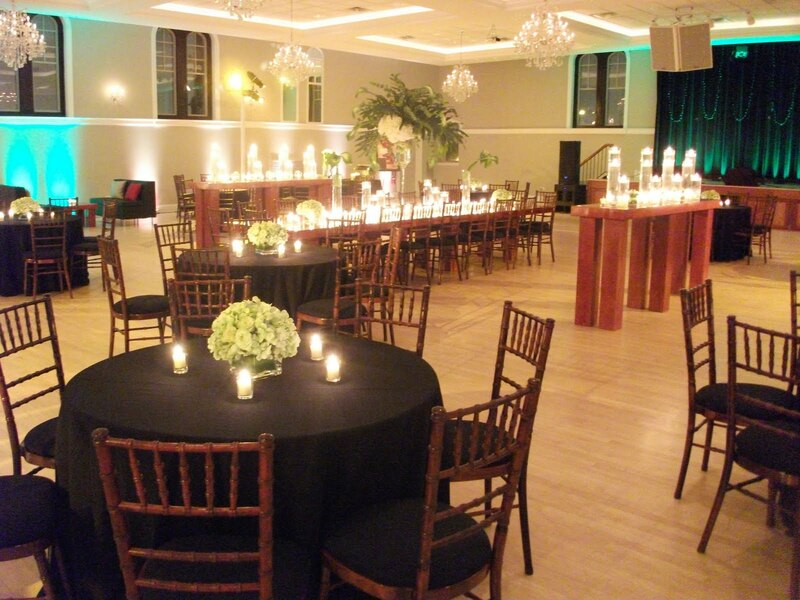 They chose the Irish Heritage Center for their venue as it was important to them to honor their heritage. 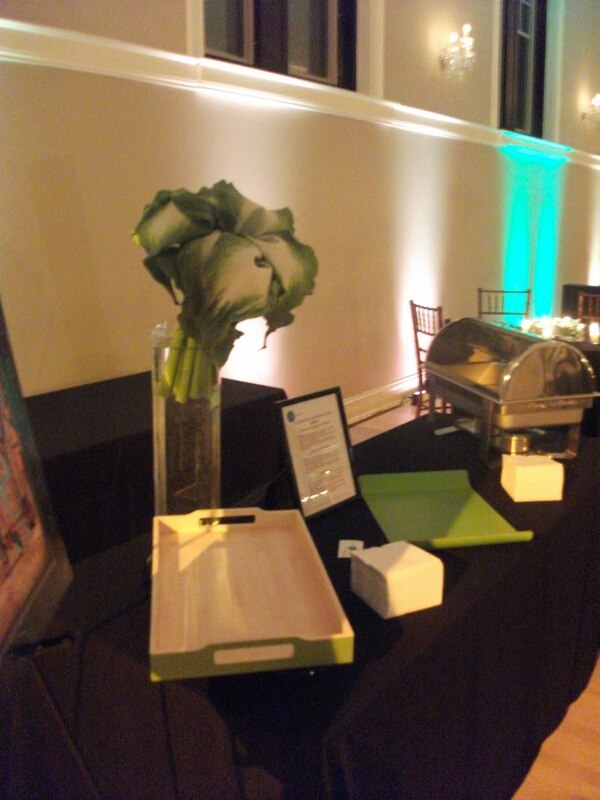 Dish Functions Catering was brought on and wrote a beautiful menu that was executed flawlessly. They were so creative and used amazing ingredients to create a delightful menu! Instead of having a sit down, plated meal, there were passed hors d’oeuvres for cocktail hour while an Irish Trio was playing. 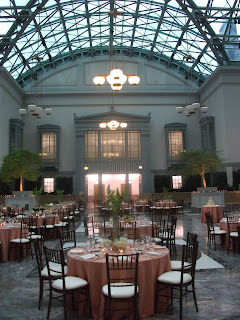 And for dinner, there were 4 Food Stations, themed after Chicago Neighborhoods that were special for the couple and the food was themed around local bakeries & restaurants in those neighborhoods! It was fabulous! 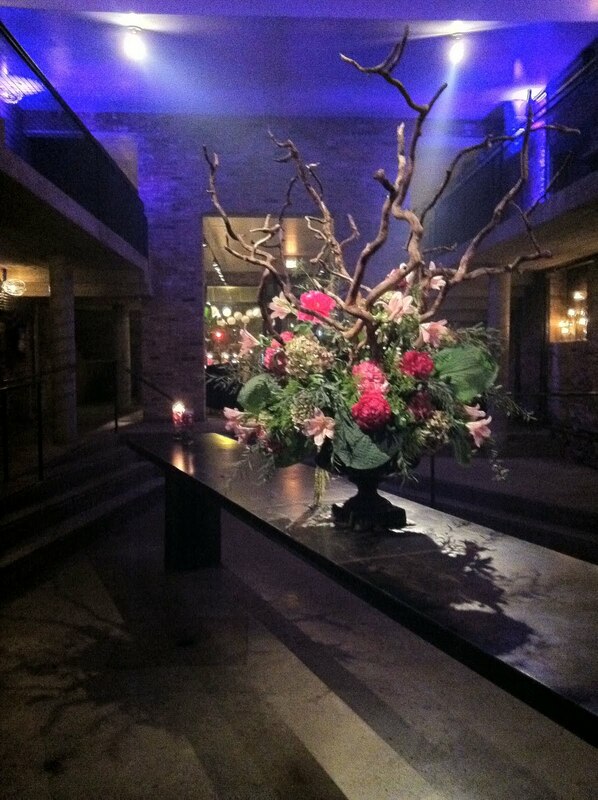 There was additional lighting brought in to create ambiance and playful floral arrangements throughout. The evening continued with an Irish Band playing tunes late into the night and on the way out, guests were able to take home a small jar of spice that was unique to the Neighborhoods chosen for the food stations! All in all, we were successful in transforming the Heritage Center to the fun backdrop that our fun loving couple adored! This year so far has been a fun and interesting year for the team at Liven It Up Events. We have worked with numerous couples in creating fun day that they will remember for a life time and have had the joy of working with some of the most professional and talented folks here in Chicago! We will be sharing some of those events, ideas, and thoughts over the next couple of weeks, so watch as our blog rolls out for a new exciting season of events with Liven It Up! Here’s just a small taste of what we have been up too!